We’d love your help. Let us know what’s wrong with this preview of Clairvoyance and Occult Powers by William Walker Atkinson. To ask other readers questions about Clairvoyance and Occult Powers, please sign up. Even he makes some good points here and there, he tries too hard to sound “scientific” too educated. As a result, he comes across stiff and doesn’t sound natural in the least. It can be a pain to read him at times! I found a first edition at the swap meet! Spoooooooky. I really liked this book. It has some great exercises. Now this is a old book so some of the stuff about witches and voodoo is a little off but it's still a great book. He really keeps to the subject and doesn't let that much of his own religion/personal beliefs influence his the science behind it all. There is a ton of information crammed into this book. It's clear the author has written about this subject before and has experience with it. He even provides further reading and recommendations at the end of the book. Not everyone is going to like this book as it does deal with certain beliefs that not everyone is into, however if you are into this sort of thing (clairvoyance, clairaudience, telepathy, telekinesis, psychic influence, and the "laying on of hands". Even astral travel is mentioned There is a ton of information crammed into this book. It's clear the author has written about this subject before and has experience with it. He even provides further reading and recommendations at the end of the book. Not everyone is going to like this book as it does deal with certain beliefs that not everyone is into, however if you are into this sort of thing (clairvoyance, clairaudience, telepathy, telekinesis, psychic influence, and the "laying on of hands". Even astral travel is mentioned and takes up about half the book. The author quotes other writers and his other books quite often in order to make a point or further explain the concepts therein. There are exercises to develop your psychic powers should you choose to do so. William Walker Atkinson (December 5, 1862 – November 22, 1932) was an attorney, merchant, publisher, and author, as well as an occultist and an American pioneer of the New Thought movement. 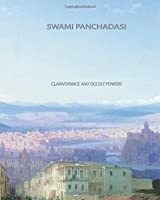 He is also known to have been the author of the pseudonymous works attributed to Theron Q. Dumont, Swami Panchadasi and Yogi Ramacharaka and others. Due in part to Atkinson's intense personal secrecy and extensive use of pseudonyms, he is now largely forgotten, despite having obtained mention in past editions of Who's Who in America, Religious Leaders of America, and several similar publications—and having written more than 100 books in the last 30 years of his life. His works have remained in print more or less continuously since 1900. William Walker Atkinson was born in Baltimore, Maryland on December 5, 1862, to William and Emma Atkinson. He began his working life as a grocer at 15 years old, probably helping his father. He married Margret Foster Black of Beverly, New Jersey, in October 1889, and they had two children. The first probably died young. The second later married and had two daughters. Atkinson pursued a business career from 1882 onwards and in 1894 he was admitted as an attorney to the Bar of Pennsylvania. While he gained much material success in his profession as a lawyer, the stress and over-strain eventually took its toll, and during this time he experienced a complete physical and mental breakdown, and financial disaster. He looked for healing and in the late 1880s he found it with New Thought, later attributing the restoration of his health, mental vigor and material prosperity to the application of the principles of New Thought. Some time after his healing, Atkinson began to write articles on the truths he felt he had discovered, which were then known as Mental Science. In 1889, an article by him entitled "A Mental Science Catechism," appeared in Charles Fillmore's new periodical, Modern Thought. By the early 1890s Chicago had become a major centre for New Thought, mainly through the work of Emma Curtis Hopkins, and Atkinson decided to move there. Once in the city, he became an active promoter of the movement as an editor and author. He was responsible for publishing the magazines Suggestion (1900–1901), New Thought (1901–1905) and Advanced Thought (1906–1916). In 1900 Atkinson worked as an associate editor of Suggestion, a New Thought Journal, and wrote his probable first book, Thought-Force in Business and Everyday Life, being a series of lessons in personal magnetism, psychic influence, thought-force, concentration, will-power, and practical mental science. He then met Sydney Flower, a well-known New Thought publisher and businessman, and teamed up with him. In December, 1901 he assumed editorship of Flower's popular New Thought magazine, a post which he held until 1905. During these years he built for himself an enduring place in the hearts of its readers. Article after article flowed from his pen. Meanwhile he also founded his own Psychic Club and the so-called "Atkinson School of Mental Science". Both were located in the same building as Flower's Psychic Research and New Thought Publishing Company. Atkinson was a past president of the International New Thought Alliance.